NASA astronaut Mark T. Vande Hei's puzzle is out of this world - quite literally. Who doesn't like a good 'can you spot' challenge. It's well known now that people of the Internet always enjoy a good brainteaser - whether it's solving a mathematical riddle or a random puzzle. This time the contest comes from none other than NASA astronaut Mark T. Vande Hei and it's out of this world - quite literally. 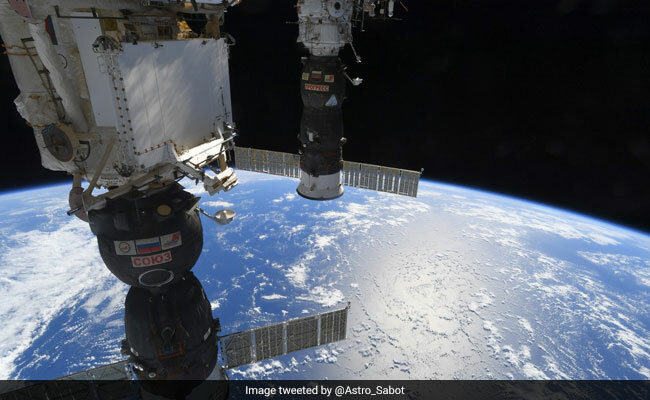 The astronaut posted a picture from a recent Russian spacewalk and posed a challenge for Twitter. All one needs to do is find the spacewalker's legs in the image shared. If you think the task at hand is easy, think again. Chances are it'll take you a while in spotting the legs. Since being posted on February 3, the picture has collected over 2,900 'likes' and more than 600 retweets so far. The comments thread on the tweet is flooded with people saying they cannot find the legs. Many managed just fine though. Still confused about where to look to find the hidden legs? Well, here's something that can help. How long did it take you to find the spacewalker's legs? Tell us using the comments section below.